Description Concert-gathering meeting between students of folk instrument “gadulka” and best gadulka players of different generations of Bulgaria. 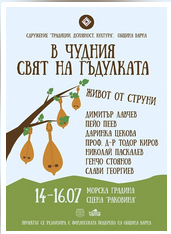 Purpose All students from Varna schools to assimilate the experience of professionals from all over Bulgaria. Participants (target group) 80 students from “Anton Strashimirov” NGHNI “Konstantin of Preslav” and NUI “Dobri Hristov” studying fiddle folk instruments. 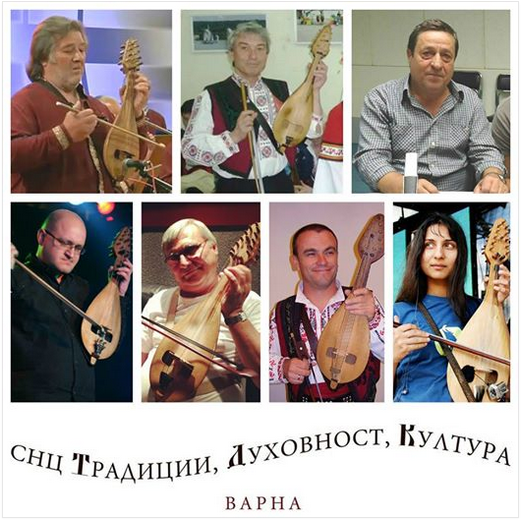 Teachers (trainers) Peyo Peev, Dimitar Lavchev, Darinka Tsekova, prof. Todor Kirov, Nikolay Paskalev Gentcho Stoyanov, Slavi Georgiev and others. June – Preparation of the students involved. 14.07.2015 – Press conference of the organizers guests and participants in the project. Hall “Varna”, Municipality of Varna, 11.00.